Sekinei snapped this after meeting up with the boys from Car Shop Glow on the Kanagawa side of the Aqualine en route to Doitsu Mura for the Glow de Fever Attack Meeting. I really pushed the boundaries of what I like to do with post-processing as far as playing with the effects of speed but I think the outcome is pretty neat, so I made it into a wallpaper. Click the picture for hi-res, or head over to the wallpaper page. When Hara-san messaged me about this event, I didn’t really hype it up on site because I really wanted to surprise you all with the coverage; it was a really a one off event that hopefully leads to more in the future. It meant a lot to me not only because NDF was a big part of it, but because it was a celebration more or less of the Attack family, and of Hara-san’s achievements thus far in his build. As you may or may not know, we were able to get Hara’s FD into Import Tuner, and just the month after he was awarded the cover of Option2. Option2 has been covering quite a bit of Attack recently and it’s a series of events that’s growing rapidly in popularity in both Japan and US. This event was organized in part by CSG, with the help of Aoki-san and friends as a way to celebrate that. These guys put their heart and soul into their builds and I can’t express enough how awesome that is to me, and how happy I am to be a part of it through our media. There is a mutual support that keeps me focused and it’s greatly appreciated; almost as if I have a duty to fulfill to progress because of the relationships we’ve formed. Over the past year or so I can see a slight change in the focus of the site, and while I enjoy every aspect of Japanese tuning, it’s only a matter of time until NDF becomes a niche site. Attack is life. With that said, please look forward to the coverage! There were quite a few cars that couldn’t make it due to location and the fact that some cars aren’t registered to drive on the street, but the turn out was still good. 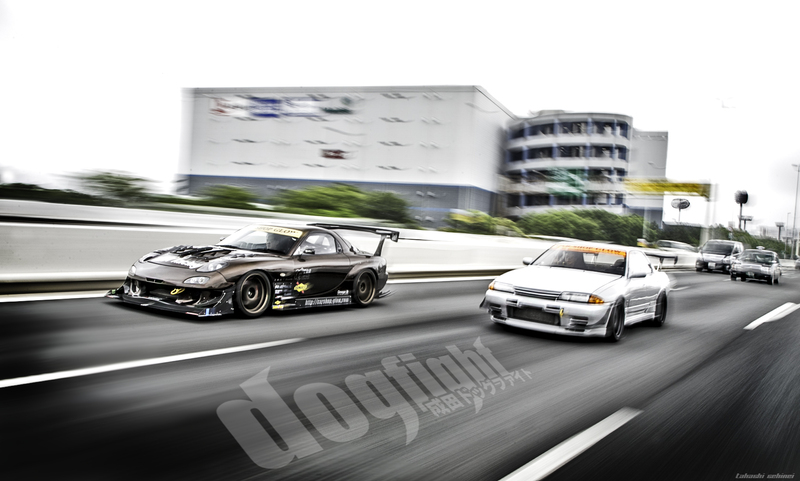 Even Iwata-san towed his EG out to hang out!